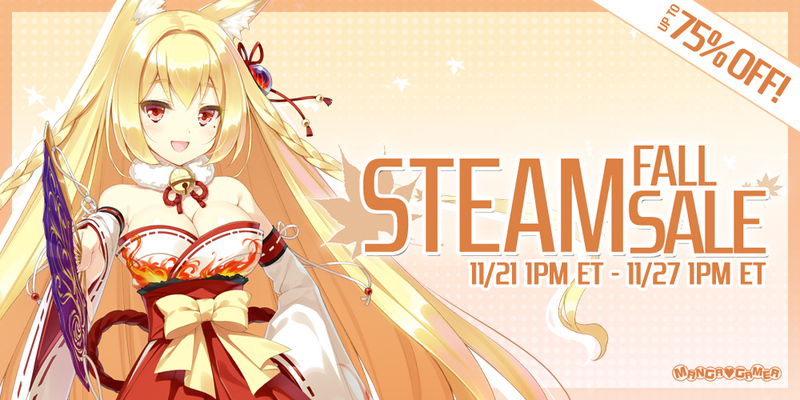 The Steam fall sale has begun and a number of our titles are on sale for the occasion! 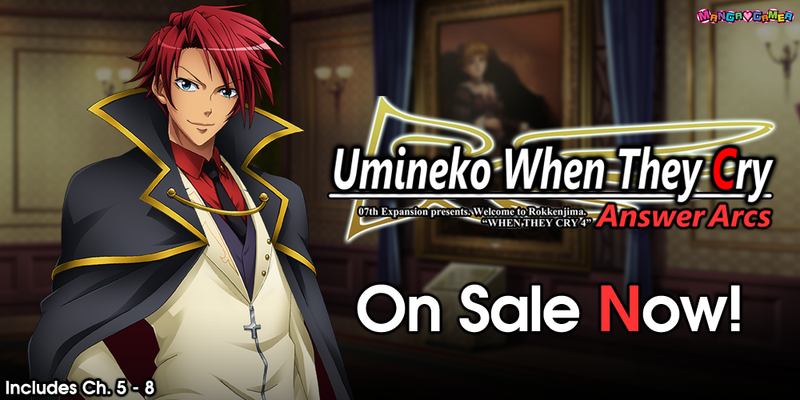 We’re hosting an Umineko sale this week! 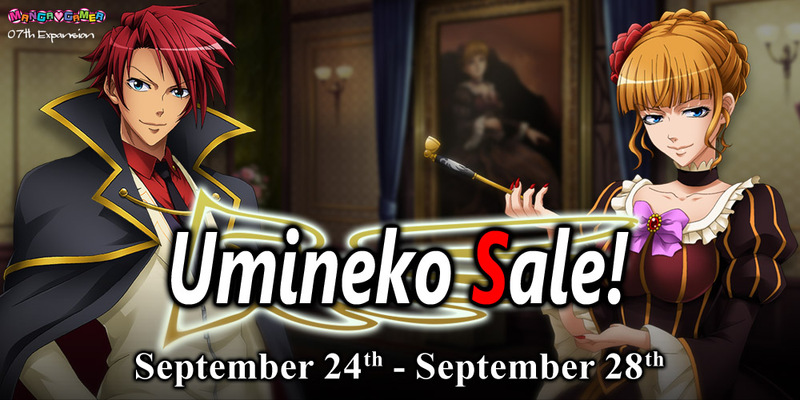 From September 24th to September 28th, get up to 40% off Umineko Question and Answer Arcs, as well as Umineko: Golden Fantasia! 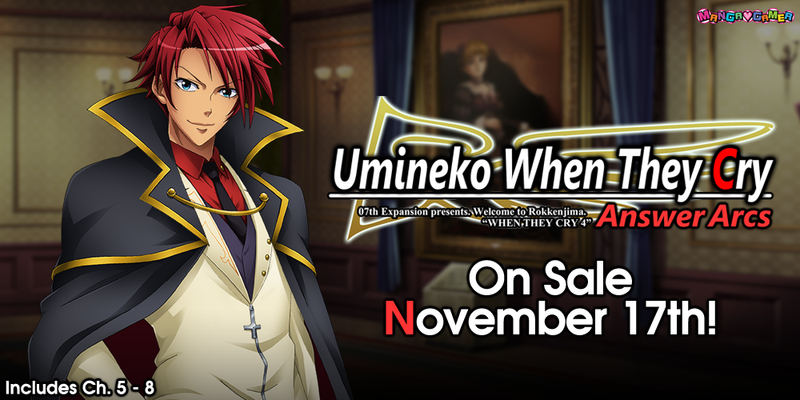 Umineko Answer Arcs Physical Edition –– On Sale Now! You can now pick up the final four chapters of Umineko in hardcopy! The physical edition features the chapters 5 -8 of Umineko, a reversible cover, and a Steam key! Anime Expo is right around the corner! 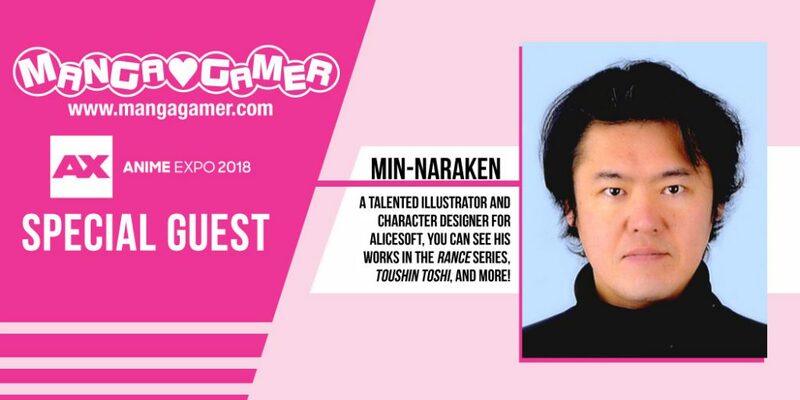 This year we will be bringing Alicesoft artist Min-Naraken as our special guest, host our very own panel, and offer a whole bunch of goods for sale at our booth! If you are attending Anime Expo, be sure to swing by booth #1211 in the exhibit hall to get your hands on limited, con-exclusive goodies! Panel, autographs, and merchandise information available after the jump. 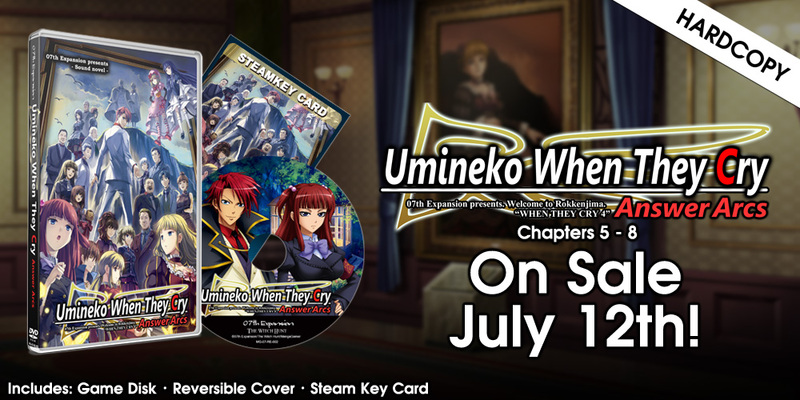 Umineko Answer Arcs Physical Edition –– Now Available for Pre-Order! You can now pick up the final four chapters of Umineko in hardcopy! The physical edition features the chapters 5 -8 of Umineko, a reversible cover, and a Steam key––and you can pick it up right now! Anime Expo attendees can pick up their copy one week early on-site at booth #1211 in the exhibit hall! Umineko Golden Fantasia Now On Sale! The tag-team fighting game based on the original Umineko: When They Cry series, has finally been released on Steam, in English and with improved rollback netplay! You can pick it up right now! 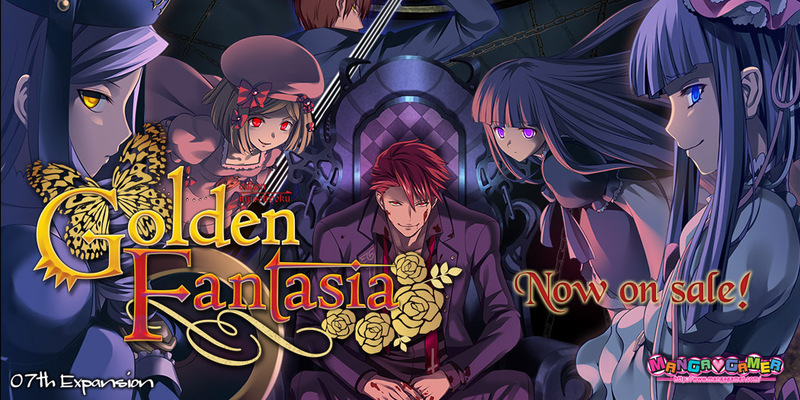 George, Jessica, and Rosa from the Ushiromiya family join the fray, as this release of Golden Fantasia includes the Cross Expansion from the original Japanese version! All the lines used during combat, story mode, as well match opening and closings are fully voiced in Japanese to bring realism to your combat! In Golden Fantasia, matches are tag-team fights between two pairs of characters from the Umineko series, each sharing HP building SP for each other through a unique mechanic – the touch system! During combat players can consume their SP Gauge and initiate their Meta World, but only if your opponent chooses to or otherwise cannot argue their truth and cancel yours! 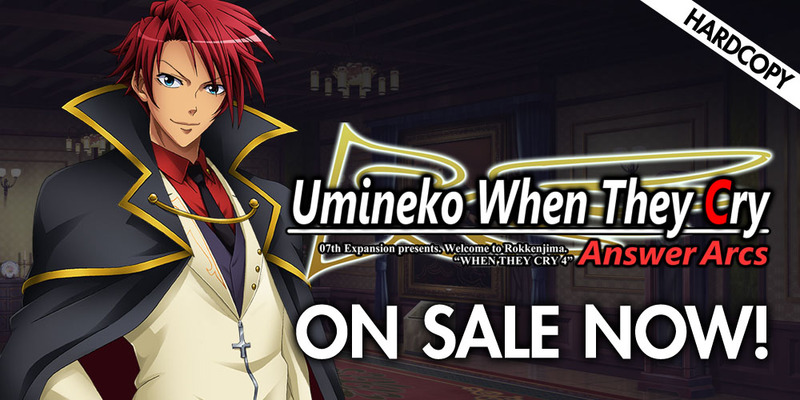 The exciting conclusion to Umineko When They Cry is now available! Pick up chapters 5-8 in one convenient package with all the original music, the choice of new and original character artwork, and both English an Japanese text on MangaGamer.com right now or Steam on later today!